Born out of her great love and respect for Latin harp music, and to help to educate Latino children about the harp music from their countries, Diana formed the “Mission Harp Ensemble” (MHE) in 2006. Together with Portia Diwa who shares her passion, they began teaching many children in the Mission district of San Francisco how to play Latin music on the harp. Since that time, new and enthusiastic teachers have come in to continue Diana and Portia’s work. Sponsored by the Multicultural Music Fellowship (MCMF) a 510 c3 non-profit, these classes have been taught at many at schools, churches, and health centers throughout the Bay Area. 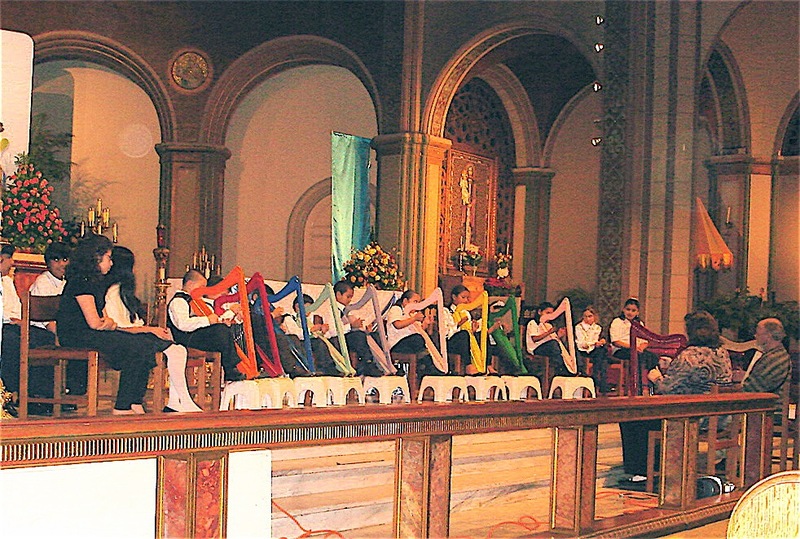 Included in the classes are fun, group methods for learning, while experiencing hands-on learning of the harp. The music presented is well-known pieces from throughout Latin America including Paraguay, Mexico, Venezuela, Columbia, Peru, Paraguay, and America. Basic fundamentals of music such as melody and rhythm are also taught. Classes present fun and informal presentations to family and friends at the end of each session. 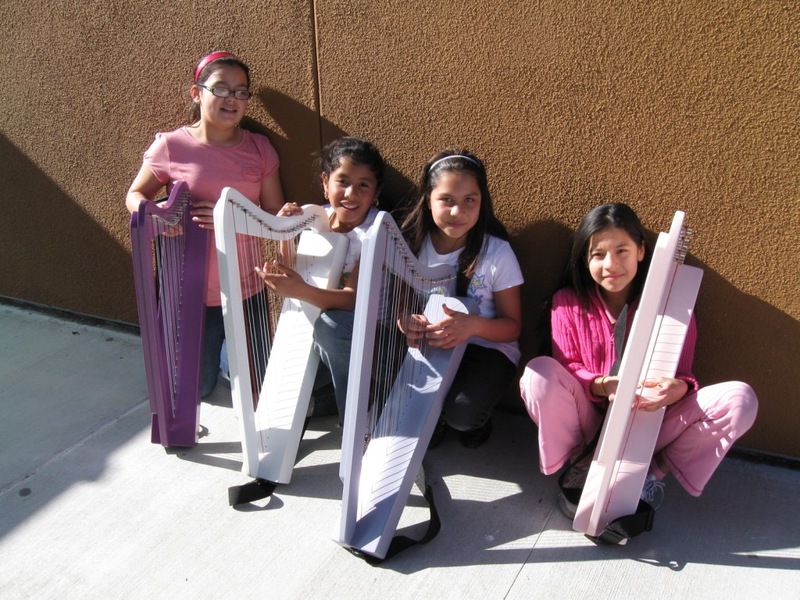 MCMF provides small, brightly-colored harps for these classes, called harpsicles (www.harpsicle.com), which are light and easy to play right away. 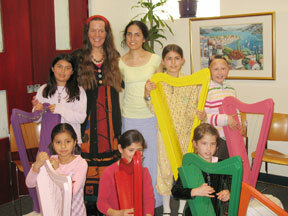 They have a lovely tone; and children young and old enjoy their “Rainbow of Harp” group classes and performances. grades K through 12. Diana feels strongly that the beauty, naturally peaceful qualities, and elegance of the harp are a great tool to help our youth in an increasingly complex and challenging world. The rich history of harp in Latin America is little known in the US. Diana feels a deep love and respect for the music of Latin America and has been working for years to bring this beautiful harp music to new audiences.